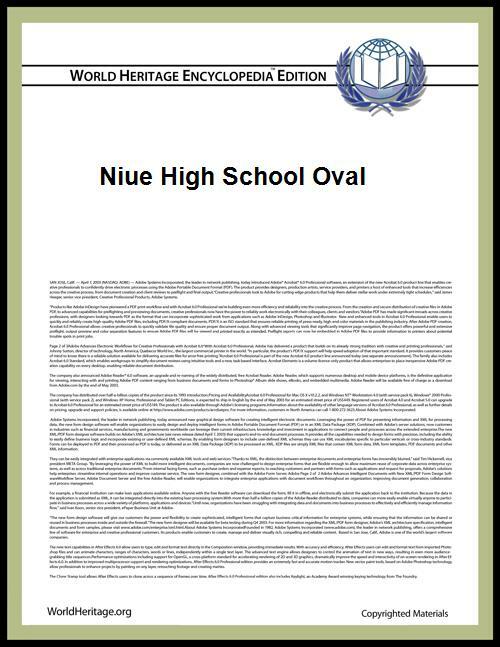 Niue High School Oval is a multi-use stadium in Alofi, Niue, currently used mostly for association football matches. The stadium holds 1,000 people. Its tenants include Alofi F.C. and Talava F.C..
^ a b c "Stadiums in Niue". World Stadiums. Archived from the original on 8 January 2012. Retrieved 8 January 2012.